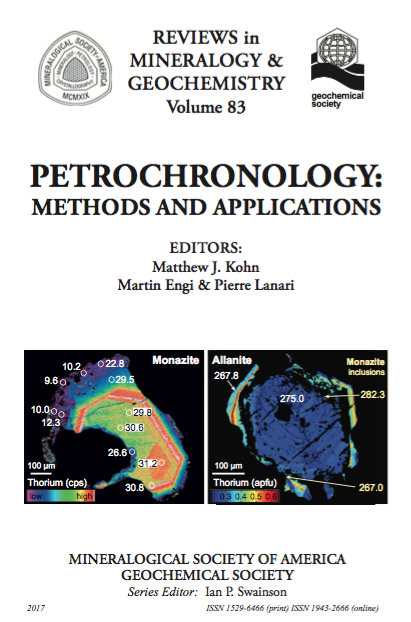 Over the last decade, petrochronology has emerged as a burgeoning new field in Solid Earth Geosciences. It greatly enhances the impact of isotopic studies by combining geochronology with petrology and geochemistry. 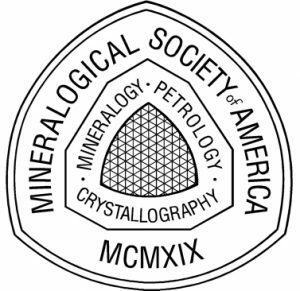 The Mineralogical Society of America (MSA) decided to dedicate a volume of its RiMG (Reviews in Mineralogy and Geochronology) Series to Petrochronology. Editors are M.J. Kohn (Boise State, USA), M. Engi and P. Lanari (both University of Bern, Switzerland). Petrochronology basically uses geochemistry, textures, and thermodynamics or other modeling to integrate ages in a petrogenetic context of individual crystals or crystal domains. Examples in metamorphic systems include the use of crystal domain-specific trace element patterns or thermometers in minerals like zircon, monazite, etc. to link an age to an overall Pressure-Temperature-time evolution. Although primarily founded in metamorphic studies, petrochronology has numerous other applications to igneous and detrital mineral studies. Our goal in the short course is to review petrochronologic methods, both conceptual and analytical, to illustrate how (mostly accessory) minerals may be used to understand igneous and metamorphic processes and the provenance of detrital grains. This workshop will provide an important foundation accessible to high-level undergraduate students, graduate students, and junior professional researchers who are interested in the theory and applications of this blossoming new field. This two-days short course will involve a series of lectures and practicals from leaders in the scientific fields of magmatic and metamorphic petrology and geochronology. * A printed version of the RiMG volume 83 will be provided to each participant during the short course. The costs for the book are included in the registration fees. A few traveling grants of 500€ offered by the Geochemical Society (GS), the European Geosciences Union (EGU) and the Société française de Minéralogie et Cristallographie (SFMC).